Crandall and Best join UF committees that help decide faculty promotion. Marie Crandall, M.D., M.P.H., a professor of surgery, and Kelly Best, M.D., an associate professor of obstetrics and gynecology at the University of Florida College of Medicine – Jacksonville, have been selected to serve on one of the committees that help decide faculty promotion. They are joining the Mission Track Committee, a 15-member body that includes College of Medicine faculty from Gainesville and Jacksonville. UF COMJ is allotted four slots on the committee. 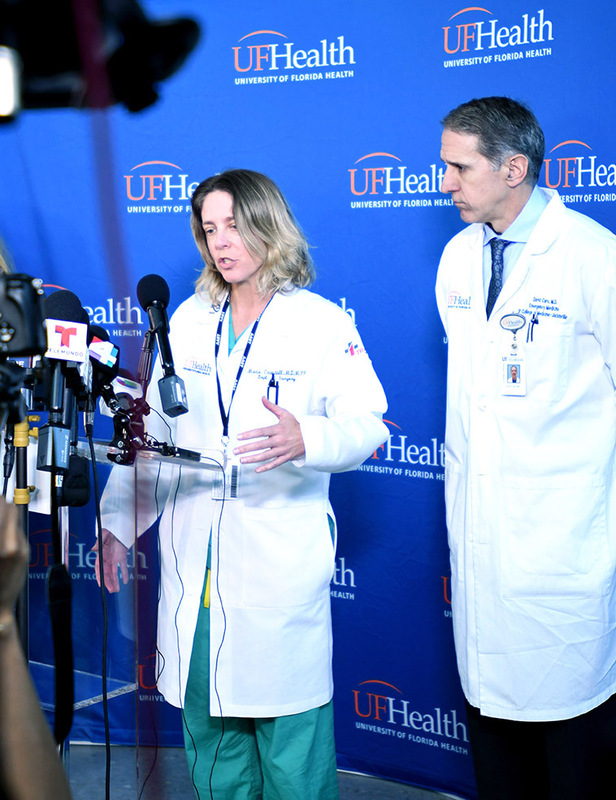 Mobeen Rathore, M.D., a professor of pediatrics, and Elizabeth DeVos, M.D., M.P.H., an associate professor of emergency medicine, hold the other two. Meanwhile, UF COMJ has two allotted slots on the 11-member Tenure Track Committee. Dominick Angiolillo, M.D., Ph.D., a professor of medicine, and Michael Gayle, M.D., an associate professor of pediatrics, hold these slots. Three of the six Jacksonville representatives are selected by the dean, and the other three by faculty vote. Each committee member serves a three-year term, with a two-term limit. Twenty-one UF COMJ faculty members are seeking promotion this academic year, and mostly all of them have availed themselves of mentoring. The dean’s office has a robust mentoring program for those who are eyeing promotion. The program results in stronger application packets. The same process can also be used by any faculty member who desires mentoring on academic development. The best time to access the mentoring program is two to three years prior to anticipated application for promotion. For more information, click here or contact Lynn Weathers in the dean’s office at lynn.weathers@jax.ufl.edu. 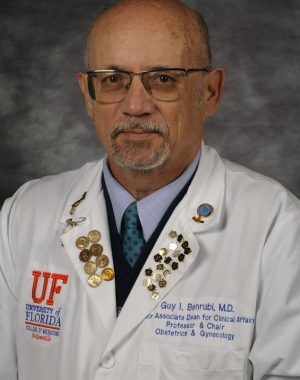 Guy Benrubi, M.D., FACOG, is senior associate dean for faculty affairs at the University of Florida College of Medicine – Jacksonville and associate chief medical officer for UF Health Jacksonville. He is also the Robert J. Thompson, M.D., Professor of Obstetrics and Gynecology and chair of the department of obstetrics and gynecology. Benrubi specializes in gynecologic oncology and is board-certified in obstetrics and gynecology and gynecologic oncology. He received his medical degree from the State University of New York Downstate Medical Center College of Medicine in Brooklyn, New York, in 1974. He completed a residency in obstetrics and gynecology with the Jacksonville Health Education Programs (JHEP) in Jacksonville, Florida, in 1978, and a fellowship in gynecologic oncology at the University of Pennsylvania in Philadelphia in 1981. The Medication Safety Team is key to advancing patient safety and quality at UF Health Jacksonville.